Detective Jerry Johnson of the Idaho County Sheriff’s Office said Monday Edward M. Mills of Grangeville, the boyfriend of 25-year-old Pankey, was interviewed by his department shortly after Pankey’s disappearance April 15. 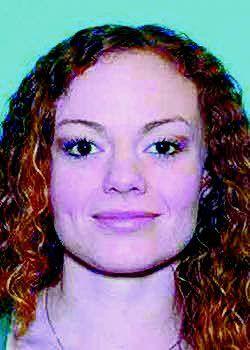 Pankey was last seen April 15 when she and Mills reportedly were camped at Pine Bar along the Salmon River south of Cottonwood, according to information given to the sheriff’s office by her boyfriend. Mills told authorities the couple had an argument and Pankey took off on foot. She was reported missing the next day by her mother after she had failed to pick up her child. Since then, the Idaho County Sheriff’s Office has conducted a number of intensive searches and followed a couple of leads, including a report considered credible from a man who said he saw a woman matching Pankey’s description walking on the road near Rice Creek. But so far detectives have been unable to find a trace of the missing woman. Johnson said an independent search in mid-May by Daniel Landis of D.L. Investigating, a private firm hired by Pankey’s family, recovered a hairbrush at the top of Rice Creek grade near the junction of Joseph Road and Boles Road. The brush has been sent to the Idaho State Police forensic laboratory in Meridian for DNA testing. Published: June 12, 2018, 8:32 a.m. Updated: June 12, 2018, 9 a.m.